Returning to the charts with a vengeance, Bunker 8 Digital Labs brings you more of what you're asking for. With over 4.2 GB of content, Hit Zone 3 is bigger and bolder than ever. 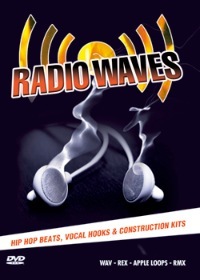 With 40 construction kits ranging from 65-160 BPM, there are ideas aplenty to kick-start those top 40/pop/rnb/hip hop tracks. Basses, live/programmed beats, keys, acoustic/electric guitars, funky fills, fx, tripped out synth effects serve up a wide range of musical derivations and themes, ready to propel your ideas straight up the charts. Are you looking for drum loops just waiting for melodic ideas? Check out the drum zone. 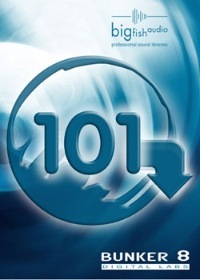 You'll find a huge selection of drum and percussion loops both familiar, offbeat and exotic. You'll be laying down those blazing hooks in no time. For the first time in the series, Hitzone 3 contains Apple Loop versions of all the loop content provided on the disc. Now Garage Band and Logic users can throw down with the rest of the HZ crowd. Acidized WAV files, Apple Loops, REX 2, Battery Kits, Kontakt patches and Reason NN19 and Redrum patches guarantee that you'll be able to make those hits happen, regardless of your DAW platform or operating system. It's time to inject the airwaves once again with bangin' loops of a boomtic vibe. Arm yourself with Hit Zone 3 and ride the skies on this Hit Zone high. 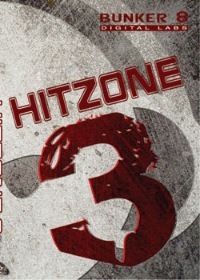 The Following End User License Agreement is included with Hit Zone 3. 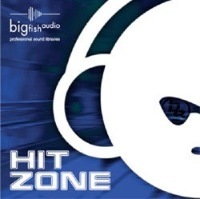 This License is only valid for the individual who has purchased an unopened, new and lawfully made copy of Hit Zone 3 from a dealer or distributor authorized by Big Fish Audio.